Dr. Jeremy Whelan qualified in medicine from St. Bartholomew’s Hospital Medical School in London and underwent general medical training in London and Nottingham before specialising in oncology. As an Imperial Cancer Research Fellow at Barts, he gained extensive experience in the management of solid tumours and haematological malignancies. After completion of a thesis on molecular mechanisms of resistance to cytosine arabinoside, Dr. Whelan continued his training at University College London Hospitals where he was able to pursue his major interests, the treatment of sarcomas and managing cancer in young people. Dr. Whelan was appointed as consultant oncologist at UCLH in 1996 and since then has developed services for sarcomas and for young people with cancer. In conjunction with the Royal National Orthopaedic Hospital, UCLH now hosts one of the largest sarcoma services in Europe with particular expertise in the management of bone sarcomas. UCLH is the largest single institution contributing patients to current international clinical trials in osteosarcoma and Ewing's tumours. Dr. Whelan heads an extensive programme of clinical research in sarcomas. Dr. Whelan has also taken an active role in UK national cancer policy developments in his areas of expertise. 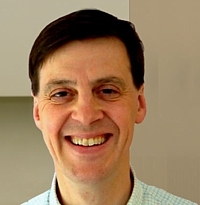 He currently chairs the National Cancer Research Institute Teenage and Young Adult Clinical Study Group and is a member of the NCRI Sarcoma Clinical Study Group, chairing the bone sarcoma subgroup. He has also served as a board member of the Connective Tissue Oncology Society between 2006-2009. Copyright © 2012 Liddy Shriver Sarcoma Initiative.